Some movies work at box office even with negative reviews all around, some movies do wonders at box office even without a single popular star and there are few movies which worked well with a set of audience while the rest trashes it. All these happen now and then. We can categorize Indian audience to five sets, ie more than a perfect rummy. Fans, anti-fans, A, B, and C. Let us keep fans and anti-fans away for a while as they don’t do any good to the cinema. The rest, A, B and C falls in ‘general category’. They have different tastes but connected somewhere. What is required for a movie to be liked by the general audience! A perfect script. For a perfect script, a perfect character development is needed. Even with the most beautiful story the movie can look so dull if the lead character development is flat. Writing strong characterization and maintaining it is important. Unfolding a story organically makes the film look authentic and the only way to do this is through the characters. For instance, take Pa. Ranjith’s Madras, we have a short-tempered main character with a good software job and a best friend who is as important to him as his parents. He is always neatly dressed, and is a football player. All of these points are characterization details. Everything else in the script is designed around him and his best friend, let it be the wall, the antagonist, Viji, Maari, everybody. The character is clearly established during the title song itself and the script maintains it throughout till the end of the film. Some movies take or need more amount of time on presenting the character. This is more likely to become flat, and unlikeable. That is when the makers need a popular actor or an actor with certain image. Eg: Rajinikanth in Baatcha or Kamal Haasan in Uttama Villain. With the very first scene itself, we start watching the story of Manoranjan through Kamal Haasan. If it was not Kamal Haasan, they would have to establish many things before going in to the story. Eg: Manoranjan and Margadarshi relationship. Often, in their fanaticism for showing off ‘mass’ action scenes and out-of-world comic dialogues in the name of ‘punch dialogues’, filmmakers forget the character development. The challenges a character face must affect the character emotionally and it should reflect in the scenes coming after that. Take Mani Ratnam’s Nayakan, everything, from seeing his father dying, to Vaappa’s death, to the police officer’s son, to marrying Neela, has something to do with the character of future self of Velu. There is a consistency in the development of Velu. It is simple; the character development and his emotion remain consistent from one scene to the next. We hardly find this in our ‘mass’ movies. Movie of stars with mass following rely on the star alone without taking the time to develop the characters in the story. They believe audience will easily accept the character but it is actually the star’s hard-core fans who are accepting it, not the general audience. The general audience might or might not get emotional attachment to the character the star is portraying as they don’t find a reasonable reason for the character’s doings. This is the exact reason why a ‘hater of a star’ finds it hard to accept a movie which the ‘fan of the star’ easily accepts, and the general audience remains clueless. Audience identify with stories through the characters. The less the characters are affected by the dramatic action, the less audience care about the story. Everybody has a flaw, something that hold us back in life. Once we create a character’s flaw, we can create challenges which run the story. Take Kali character in Madras, his short-tempter is what moves the story. 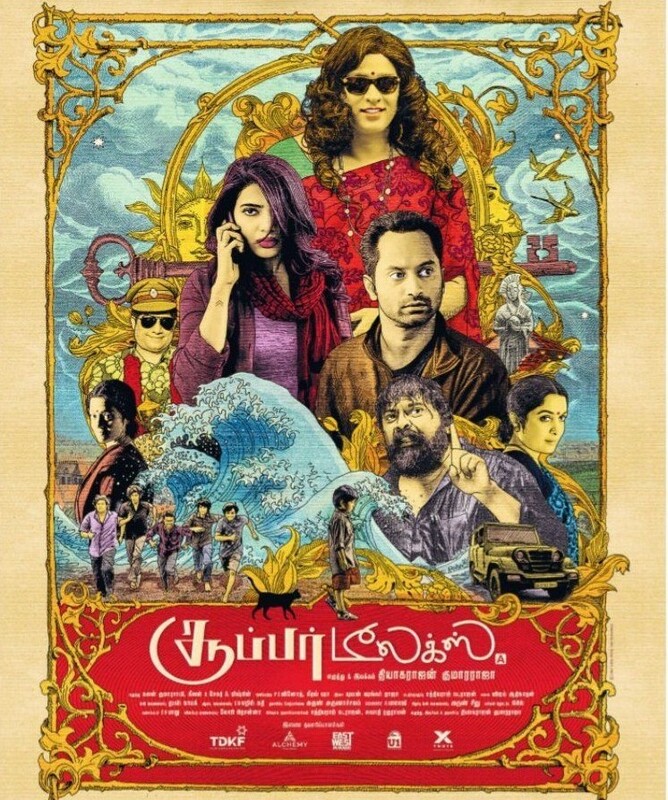 Like in Thiagarajan Kumararaja’s Aaranya Kandam Anucharan’s Kirumi the lead character is not the usual perfect guy. The main character here is Kathir, a selfish guy and does certain things which audience doesn’t want him to do but still filmmaker manages to create sympathy on Kathir and makes audience care for him as the story unfolds. The growth, fall and the trouble Kahir faces are only because of his character. How many ‘mass-friendly hero’ movies we have seen like this in India! Stories are only as good as the characters within. Always better to create some fine characters for making a fine movie.